The amount of sleep we get every night has a profound effect on our daily lives. Simply not getting enough sleep can cause all sorts of problems in both the short-term and long-term. According to various studies, adults require between 7-9 hours of sleep every day to function at their best. What do you get in return for those 7-9 hours of rest? 1. Better health and immunity. Studies have shown that the simple act of not getting enough sleep has tangible links to heart disease, diabetes and obesity. Getting enough sleep certainly won’t make you impervious to disease, but it will give your immune system a sizeable boost to help keep illness at bay for longer. It also allows you to better maintain a healthy weight - not getting enough sleep often leads to people being too tired to cook healthy meals or exercise regularly. 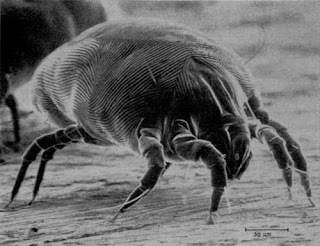 Additionally, mattresses can build up lots of allergens over time - dust mite build-up can lead to sinusitis and headaches. Always check with a specialist like www.Sleepys.com.au when looking to change out your mattress for a new one to make sure you get one that suits your health and allergen requirements. A stronger immune system, more energy and far fewer sneezing fits – you will get all of that just from getting enough sleep every night! While you sleep, your brain is busy consolidating all your memories from the day, filing away all the information that was fed into it for later use. Not getting enough sleep interrupts this process and can lead to memories being lost. On a related note, how often have you woken up after a restless night feeling like you've got a head full of cotton wool? Sleep loss affects your thought processes, impairing attention and cognitive skills, making you more prone to accidents and mistakes. Getting around eight hours of sleep a night will keep you alert, proactive and energetic throughout the entire day. And you’ll be able to remember to pick up the milk on your way home from work so your partner doesn't get cranky! Getting enough rest doesn't mean you’ll be in a fantastic mood every single day but what it does do is help your emotional regulation. When you've gotten a good night’s sleep, you’ll often have a much better grip on your emotional state throughout the day. This is why, when overtired, we can become exceptionally cranky or start laughing uncontrollably at things that aren't that funny. This also helps you to be more attentive and understanding in your work, which will make you a more agreeable, functional member of your professional team. These are just a few ways that getting a good sleep every night can impact your life in a positive way. How do you feel when you don’t get enough sleep? Are you a morning person? Are you one of those people who can sleep anywhere? Share your thoughts, experiences and answers by leaving a comment in the section below.